Barbra Streisand will be gracing the cover of PARADE Magazine this weekend. More Contests Now Live To Win Tickets For Village Vanguard Show. There are now four ways for fans to compete for a place at the Village Vanguard Gig in New York on September 26th. 1. Pre-order the album for a chance to win passes. Richard Jay-Alexander To Appear On Shopping Channel QVC To Introduce New Barbra Streisand Recording – “Love Is The Answer”. It was announced yesterday on the QVC Shopping Channel Web Site that Barbra’s Collaborator and Co-Director, Richard Jay-Alexander, will be appearing on QVC on Friday August 28 at 10pm, for the introduction of Barbra’s new recording, in a very personal way. Barbra Streisand 3-Disc DVD Set ‘Streisand The Concerts’ Goes Gold And Platinum In First Two Months After Three Week Run At #1 On The Billboard Charts. 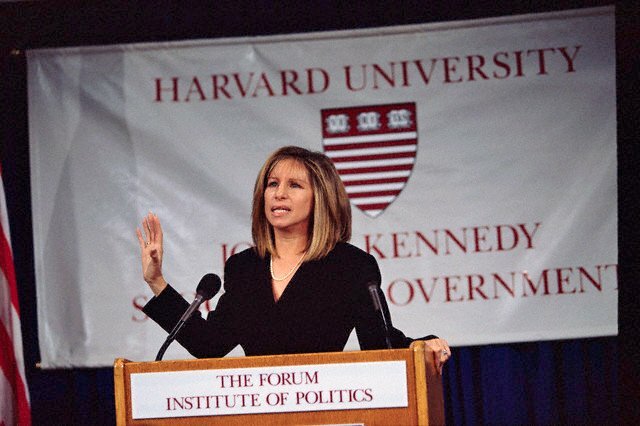 Streisand Set Reigns As Biggest Selling Music DVD Of 2009. Barbra has recorded her first video interview for the upcoming Love Is The Answer album. In what promises to be a once-in-a lifetime thrill for a hundred of her luckiest fans, Barbra Streisand will celebrate the release of Love Is The Answer—her new album of jazz standards and classics— by singing a selection of these songs at New York’s legendary Village Vanguard, where she last performed in 1961 as the opening act for Miles Davis.